I suppose it was inevitable. 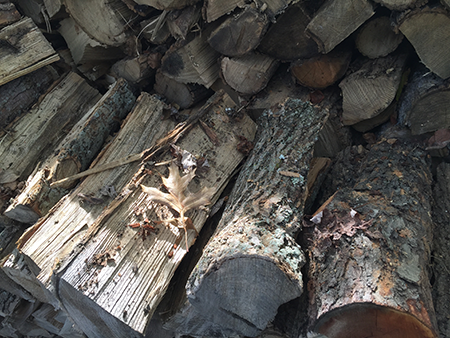 This is a picture of what I was doing this past weekend… bringing the logs in for our winter fires. The plan is for them to keep me toasty while I sit by the fire reading the beautiful Titan editions of Hal Foster’s Tarzan that I picked up at SDCC this summer. Before then, however, I still have some book signings on the docket starting with the Buckeye Book Fair on November 5th, the Akron Comic Con on November 6th, a Storytellers Session and signing at the Music Box in Cleveland on November 16th, and wrapping things up with a lunchtime signing at the Kent State University Bookstore on December 1st. Details on these signings can be found at the Events section on this site. I hope I get to see some of you along the road before we raise the drawbridge here at the Cartoon Castle and hunker down for the winter.